Hey Steve sorry for delay! I got on this site and was reading like crazy for two days and ended up getting myself in a funk depressed lol. I have educated myself quite a bit. 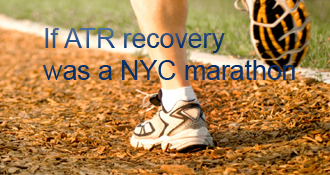 I am glad to hear about your progress and story because I really did want to hear what the difference between a reg ATR and the avulsion and far as recovery and rehab. I also now have realized after researching on here that I am 100% sure I also have sural nerve damage. The prognosis on that doesn’t look good, but I will pray it is not permanent. I have pretty much constant shock type bursts through my heels and foot. And cannot touch the back of my leg or foot without it burning like crazy. I don’t know if the dr. Did it in surgery or it was from the injury. I’m not sure if this happened to you but when my achilles snapped off the bone my whole heel burst open. Almost from heel bone to heel bone. The OS of 35 years said he had never seen this type of rupture before. I feel dumb now, but he sent me right over to the hospital and did surgery that night and I had no idea what he was going to do, I didn’t ask at all. Now I see all of these people researched etc. prior. Anyway, he put 2 screws in and that’s all I know. He took the cast off in 2 weeks and told me to start flexing my foot. I started and my heel was oozing and looked like it was opening up so I went back and he steri stripped it and told me to come back in a week. Wait to start flexing again until then. I have a boot but don’t wear it in the house unless I go out because any pressure on my skin is awful. I don’t know what questions I should be asking him. He kind of intimidates me, but since I have started reading here, I feel like I need to be more proactive! I guess my first step now is to ask him about this nerve issue. And then I was wondering about your rehab. Did you pick your place that you went? I do not have insurance, and I want to make sure I do the right thing. It sounds like you were a few months out before you started PT? Any imput you or anyone else has, I appreciate it very much! !